Is My California Apartment Rent Controlled? Despite what you might have heard, California does not have a statewide rent control provision. This leaves rent control up to cities or counties. 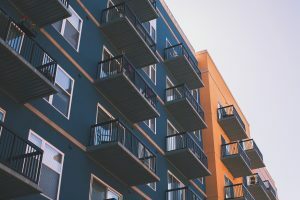 If you live in a unit that is applicable to your local rent control ordinance, then you have a number of additional rights as a tenant compared to another renter in a non-rent controlled unit. Your landlord can only raise your rent a certain amount at a certain interval, and must give you a specific amount of notice regarding the increase. Each of these elements, including how much, will be dictated by your local law. If you believe your unit is rent controlled and your landlord is violating the ordinance, contact a local tenants rights attorney to find out how to protect your rights. Or if you live in San Jose, your unit is only covered if the building has three or more units and was built and occupied prior to Sept. 7, 1979. If you live in a duplex, condo, single-family home, or in a government subsidized unit, the apartment is exempt from rent control. If you have looked up your local law and are still unsure of your unit’s standing in relation to a local rental ordinance, do not hesitate to seek legal advice. Without understanding the regulations that apply to your apartment, it is impossible to fully know and protect your rights as a tenant. Or if you are sure your unit is covered by a local rent control ordinance and you believe the landlord is violating your rights by raising the rent too much or too soon, contact an attorney right away. The experienced tenant rights lawyers of Brod Law Firm are here to review the situation and protect you and your home. Call today at (800) 427-7020 to schedule a free consultation.